Delia Owens talks about her breakout novel, Where The Crawdads Sing. It explores isolation, connection and the healing power of Nature through the story of a young woman who lives as a hermit in a salt marsh. Then, another novel, this time about Nature gone awry. We re-play our 2012 interview with Barbara Kingsolver about her book, Flight Behavior. And finally, Francesca shares her story about a man who hunted healing plants in the wild regions of southern France. It’s from her memoir, Province of the Heart. In Delia Owens’ novel Where The Crawdads Sing, a young woman, Kya, lives a hermit’s life in the salt marshes of North Carolina. She craves connection but the abuse and abandonment she suffered as a child keeps her away from most human contact. It doesn’t help that she is reviled and feared as “The Marsh Girl” by the residents of a nearby town. So Instead, Kya turns to the denizens of the natural world around her for her friends. Until, that is, a murder in the marsh casts suspicion on her. 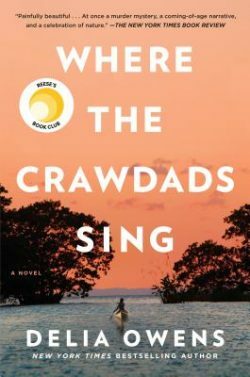 A breakout sensation that is #1 on IndieBounds and the WAPO Best Sellers List, Where The Crawdads Sing is at once a coming of age novel, a mystery and a lyric exploration of our connection to Nature. Delia Owens is a wildlife scientist who has studied social groups among animals like lions and elephants and the co-author of several nonfiction books about her life as a wildlife scientist in Africa. Where The Crawdads Sing is her debut novel. Back in 2012, we spoke with celebrated fiction writer Barbara Kingsolver about her novel, Flight Behavior. It’s about what happens when a rural community in Tennessee is confronted with a bizarre phenomenon caused by global warming. 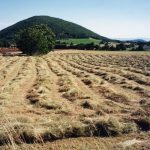 Longtime listeners to Writers Voice may remember that Francesca has been working on a memoir about an eight-month sojourn in Provence she made in 2001-2002. It’s titled Province of the Heart. She’s read a few stories from it over the years and here’s one more — “The Cure Hunter,” about a man who found his work and joy hunting healing plants in the wilds of southern France. The audio version is abridged. Read the more extended version here.